Arjun is based on a shutterless HawkVision thermal imaging core with a 640 x 480 micro-bolometer array and advanced thermal image processing. Its completely shutterless and operates seamlessly between varying ambient temperatures without the need for any NUC ever. Its a sight that never freezes. 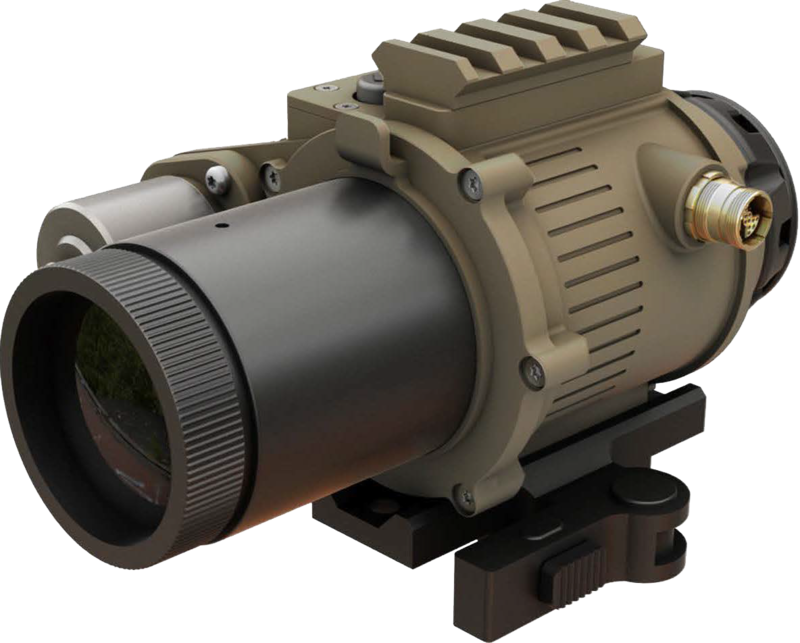 It is optimally designed to work as a CLIPON Tl sight with existing day 1x-20x magnified day scopes or as a standalone Tl weapon sight with inbuilt reticles. As a CLIPON scope it can be detached and reattached without affecting the boresight of the day scope; significantly improving operator performance and tactical flexibility. As a Standalone Tl sight its integrated with custom tactical mounts that provide zero retention even after firing hundreds of rounds. The sight is designed to maintain zero even if detached and reattached thus allowing soldier to change optics on the battlefield without requiring to zero the weapon.